This large wheeled split duffel is absolutely a product of this high end brand’s commitment to making the best better. This brand features complimentary monogramming, an immaculately sleek appearance, and superior craftsmanship. 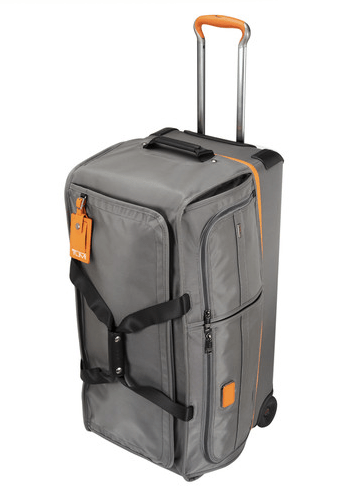 The damage proof handle system, stellar custom design and accessible shape appeal to any traveler. Whether it’s the beach, slopes, or business jaunt to the next city over, the Alpha 2 is one fine choice for the taking. It’s always nice to know you’ll arrive with your goods intact and looking top notch to boot.